We will use Constant Contact to send out a bulleted edition of this newsletter every month. If interested in a particular item, more information is given under each topic area. Come, Holy Spirit, dwell in our hearts and kindle in them the fire of your divine love. O eternal God, grant to us, we beseech you, the fullness of your divine Spirit and give us openness to the inspirations of your grace. Help us to put aside every thought and concern that may distract us from your holy presence. Through the life and death of Jesus Christ and through the intercession of Mary and all the saints, we sincerely ask that this prayer may glorify you and bring us to salvation. FIESTA was a great success with more than $400,000 raised to support the Negotiated Tuition Program. Thanks to all alumnae, family, and friends who supported this activity. During the SIESTA assembly at the end of Mission Week, students surprised Sr. Delores with a flash mob of her favorite song, "Dancing Queen," to honor her 50th anniversary as a Sister of Mercy. The story and video went viral and was covered in local media, including the Omaha World-Herald. Continuing its commitment to providing students the knowledge and confidence to succeed, Mercy has launched Kaledioscope. The four-year, one-of-a kind, leadership and empowerment program provides progessive opportunities for students to maximize their strengths. The name was chosen because a group of butterflies, the school's mascot is a monarch butterfly, is a kaleidoscope. The program maps out a unique leadership curriculum that includes a variety of events and activities that leverage community and educational resources. Looking for actvities to help your elementary and high school girls build athletic skills while having a good time? Mercy offers a wide variety of summer camps that fit the bill. Find out more and register today. Join us on Friday, April 5th at 7:00 p.m. in the Our Lady of Mercy Chapel for an evening of praise, worship, and adoration led by Fr. Michael Voithofer. All are welcome to come and worship with us! Anna Brewer with the Nebraska Attorney General’s Office and is coming to speak to the Mercy community about human trafficking. The free event is at 7:00 pm on April 2nd in Franey Hall. Space is filling up quickly for this musical event on Thursday, April 25th at 7:00 p.m. Please register by April 18th online or by calling Roz Parr '09 at 402.553.9424. Meet up with old friends, get lunch, and get a school update from Sr. Delores. Graduates of the 1950s from St. John’s, St. Mary’s, and Mercy High School are invited to a special networking event. Make sure to register. Come celebrate the 50th reunion of the Class of 1969 and our Distinguished Woman of Mercy award recipient, Ann Bendon Wieberg ’57 during this annual Mass and brunch. Register now. A new event has been added to the weekend reunion schedule. Alumnae of all skill levels are invited to join us for a small-sided match on June 1st. If you don’t want to play, we’d love to have you cheer from the sidelines! Register today! We’d like to thank all of the graduates of the 1980s and 1990s who joined us for a special happy hour on March 5th! President Sr. Delores Hannon and Principal Kristi Walters Wessling ’88 met with 15 alumnae to talk all things Mercy. Students gained insights from alumnae and community representatives during Alumnae Career Day on March 25th. What’s new? Have you moved, gotten married, had a baby, or been promoted? Let us know by completing our contact form. Once a month we will post names of Mercy graduates who have passed away. This list is compiled from official notifications and will only include Women of Mercy. If you have a loved one who passed away, please contact Naomi Chambers, Database Coordinator, or call her at 402.553.9424. One Saturday morning each month, the Catherine McAuley Prayer Circle meets in the Our Lady of Mercy Chapel to pray for the Mercy community. Submit a prayer intention. All are welcome to join us for the scriptural Rosary on March 16th at 9:15 a.m. Learn more and see future dates. Is your old Mercy sweater, shirt, or beanie taking up room in your closet? Send it to us as we build our collection of memorabilia! Email Roz Parr to arrange a drop-off time. We are looking for volunteers to lead morning prayers on Tuesday mornings. Volunteer. There are many ways you can volunteer in support of Mercy. Check out our volunteer opportunities. Follow us on Facebook, Twitter, Instagram and LinkedIn. You have to join LinkedIn to participate. Please pass along this great opportunity for younger students at Mercy on Saturday, April 27th from 4:00 p.m.- 9:30 p.m.
· Meet girls from lots of Omaha schools. · Play theatre improv games and get a backstage look at Mercy’s Theatre Department. · Enjoy dinner with friends and Mercy Student Ambassadors. Register and pay the $20 reservation fee by Tuesday, April 23rd at http://mercyhigh.org/events. Seating is limited. 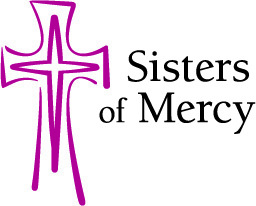 This annual event is Thursday, April 11th from 6:30 p.m. -8:00 p.m. Parents and students are invited to attend and learn why girls from all over Omaha choose Mercy. No registration is required. Save the date: Omaha Gives is May 22th. Create a cheer page to encourage your friends to support your favorite high school! Mercy’s calling! This spring, our students and alumnae will call members of the Mercy community for support. Make your gift now, or volunteer to call your classmates by contacting Roz Parr '09 at 402.553.9424. Mercy High School is on Venmo and we’re accepting donations! Find us at @MercyHighSchoolOmaha to make your annual gift today. Consider donating on a monthly basis by joining Mercy’s MX-12 program. Interested in providing a legacy of support to Mercy High School? You might want to consider a planned gift. Mercy is on Amazon Smile! With every purchase, Amazon will donate a portion of the purchase price to Mercy. It's a super easy way to support your favorite high school.